SKU: M2018-2. Categories: CD, MAIN STORE, RELEASES. Tags: Ambient, Minotauro Records. The main body of Atlantean Symphony is composed of 12 sections – all part of a single, seamless musical journey into the deepest part of the soul. Reawaken memories of that which has passed, and become totally immersed in the wonder, the mystery, the power, the fragility. The key into the kingdom lies within the listener; DREAMFIRE merely provides the portal through which one can choose to step and become part of a greater shared experience. 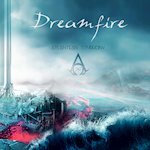 DREAMFIRE came into being in 1999 as a symphonic musical project to explore ancient mysteries and epic themes. 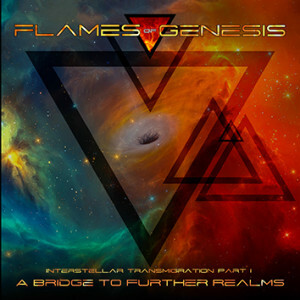 DREAMFIRE exists in the spaces above the physical realm and is a conceptual manifestation of journeys through time, space, and reality, within the boundless and timeless expanses of the macrocosmic universe. Prepare for a journey into legend. DREAMFIRE’s Atlantean Symphony is an unforgettable experience that will reawaken memories of that which has passed. Witness the grandeur and the fragility in this neoclassical ambient masterpiece that will truly enrapture the soul. Fully remastered and with two exclusive bonus tracks, including an epic, haunting reworking of “The Rains Of Castamere” from the hit TV show Game Of Thrones.